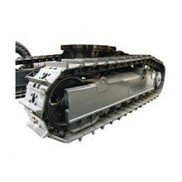 Liugong B160 Bulldozer Undercarriage Specification:Undercarriage advantage: 1.Ensure Exact size2.OEM..
Liugong B161 Bulldozer Undercarriage Descriptions:High Quality Bulldozer Undercarriage.High-quality ..
Liugong B161L Bulldozer Undercarriage must be extremely durable and it is very important to keep the..
Liugong B230 Bulldozer Undercarriage Features:• Rotating bushing chain • Wear perfectly balanced thr..
Liugong B320 Bulldozer Undercarriage delivers outstanding performance in any application. 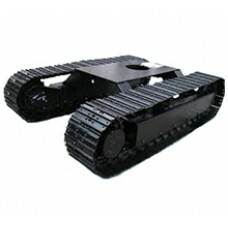 We also ba..
Liugong CLGB160II Bulldozer Undercarriage Specification:Undercarriage advantage: 1.Ensure Exact size..
Liugong CLGB160LII Bulldozer Undercarriage Descriptions:High Quality Bulldozer Undercarriage.High-qu..
Liugong CLGB230I(D) Bulldozer Undercarriage Features:• Rotating bushing chain • Wear perfectly balan..
Liugong CLGB230II(D) Bulldozer Undercarriage delivers outstanding performance in any application. We..
Liugong CLGB320I(D) Bulldozer Undercarriage excels in all applications and all conditions: standard ..
Liugong CLGB320II(D) Bulldozer Undercarriage must be extremely durable and it is very important to k..